SCOTTSDALE — Ireland’s honorary musical ambassadors, The Chieftains, will bring the Emerald Isle sound to Scottsdale a few weeks ahead of St. Patrick’s Day with a performance at 7:30 p.m., Feb. 27, in the Virginia G. Piper Theater at Scottsdale Center for the Performing Arts. 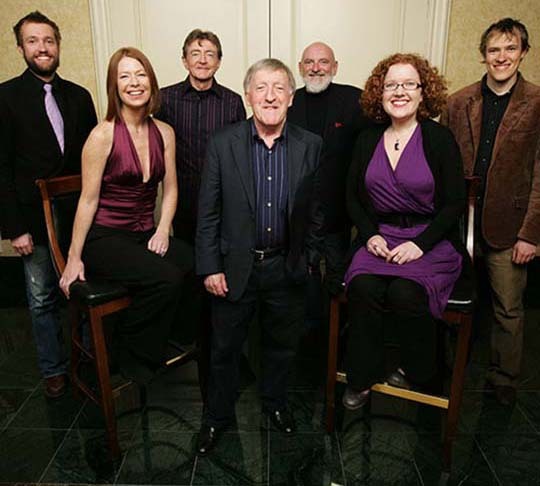 Six-time Grammy® Award winners, The Chieftains are recognized for calling the world’s attention to traditional Irish music, blending classic cultural sounds with a modern approach. For more than 55 years, they have uncovered the wealth of traditional Irish tunes that have accumulated over the centuries, while making the music their own. Formed in 1962 by Paddy Moloney, The Chieftains drew from the ranks of the top folk musicians in Ireland. Although their early following was purely a folk audience, the range and variety of their music quickly captured a broader fan base. Now the most popular traditional Irish folk group in the world, The Chieftains are known for their collaborations with other musicians, from fellow Irish performers (Sinead O’Connor, The Corrs) to legendary acts (The Rolling Stones, Willie Nelson) to contemporary indie bands (Bon Iver, The Decemberists). Moloney, who plays the uilleann pipes and tin whistle, is joined by fiddler Seán Keane, vocalist and bodhrán (Irish drum) player Kevin Conneff and flautist Matt Molloy as they continue to push traditional Irish folk music past its limits, while still honoring their roots.